The Holy and All-praised Apostle Philip, was a native of the city of Bethsaida in Galilee. He had a profound depth of knowledge of the Holy Scripture, and rightly discerning the meaning of the Old Testament prophecies, he awaited the coming of the Messiah. Through the call of the Savior (John 1:43), Philip followed Him. The Apostle Philip is spoken about several times in the Holy Gospel: he brought to Christ the Apostle Nathaniel (i.e. Bartholomew, April 22, June 30, and August 25. See John. 1:46). The Lord asks him where to buy bread for five thousand men (John. 6: 5-7). He brought certain of the Hellenized Jews wanting to see Jesus (John. 12:21-22); and finally, at the Last Supper he asked Christ to show them the Father (John. 14:8). 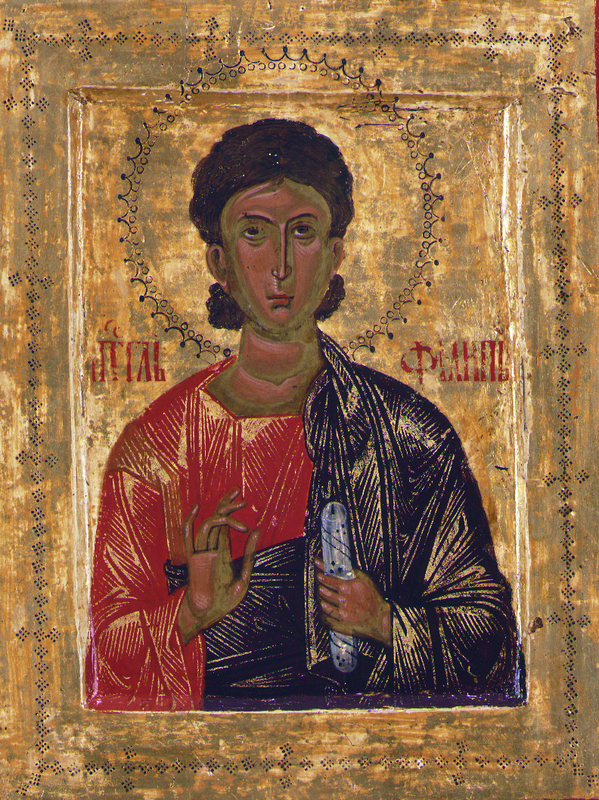 Holy Apostle Philip, / entreat the merciful God / to grant our souls forgiveness of transgressions. Your disciple, friend and imitator of Your passion, / the God-preaching Philip, proclaimed You to the universe! / By his prayers deliver Your Church from her enemies; / through the Theotokos protect every city, most merciful Christ!